Adam Makarenko is a Toronto based artist-[expat of Thunder Bay] whose work conveys multi-levels of complexity in his field of arts, that being photography and film/video. 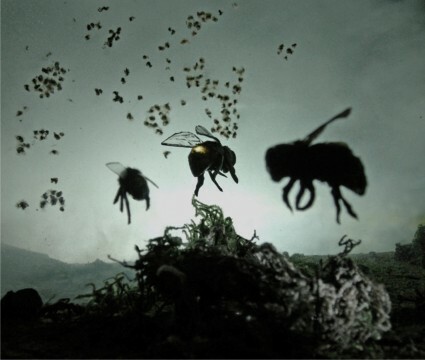 Awarded American Photo of The Year from American Photo Magazine for his unique miniature photography work, as he constructs each photograph initially as a diorama and uses these constructed realities to tell a story, otherwise impossible through conventional photography. Makarenko has blended his miniaturization art to stop motion/live action filmwork and was nominated for a Juno in 2011, a Much Music MMVA VIDEO award, including having won the coveted Bright Spark Award, published in Magenta annual publication, Chalmers Award and several OAC Creation Grants, as well, many other accolades for his unique and relatively rare art form. Makarenko has shown throughout Canada and Internationally. Join us for a Gala Opening Reception at Definitely Superior Art Gallery Sat. Mar.29 @7-10pm with three new exhibitions featuring national/international artists-part of the downtown wide Urban Infill exhibitions and a ferocity of Art-Musical/Dance/Wearable Art Performances-Artist Talk and catering by Sweet Pea Home Catering and Restaurant. Pick up your map at DefSup and follow the Tour Guides to all the exciting Urban Infill locations, re-discover your Downtown Waterfront District through art & culture. Gallery 3.